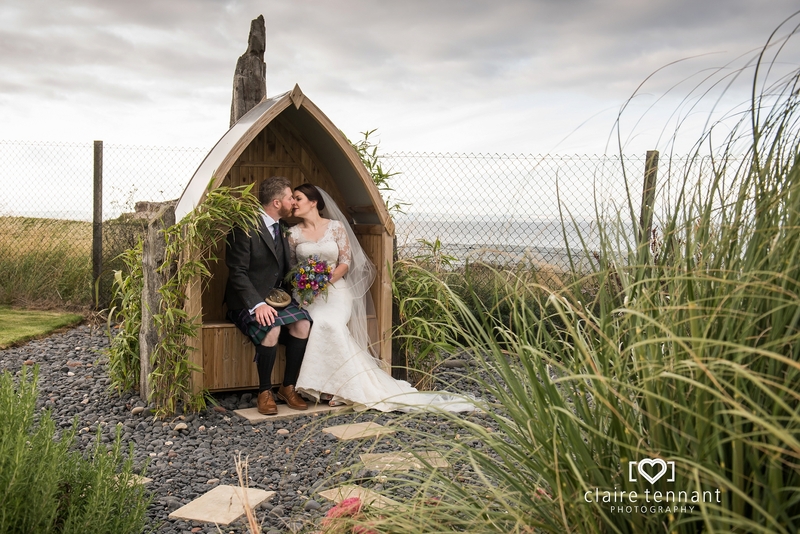 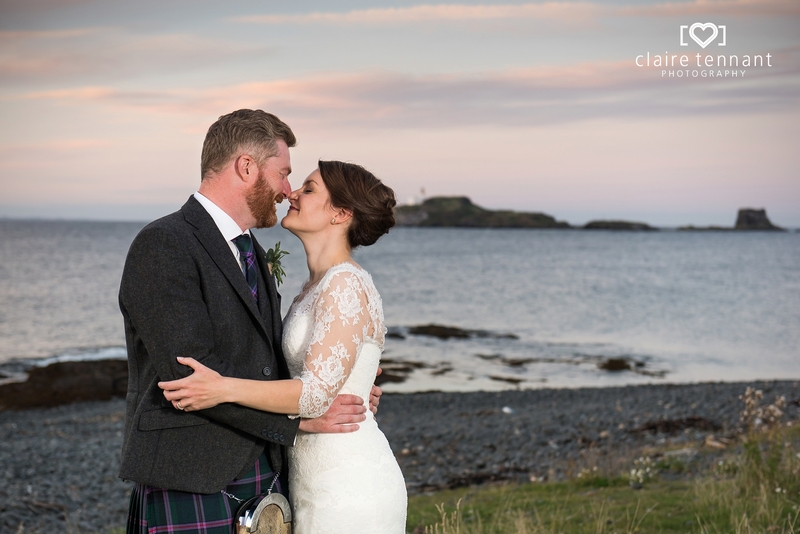 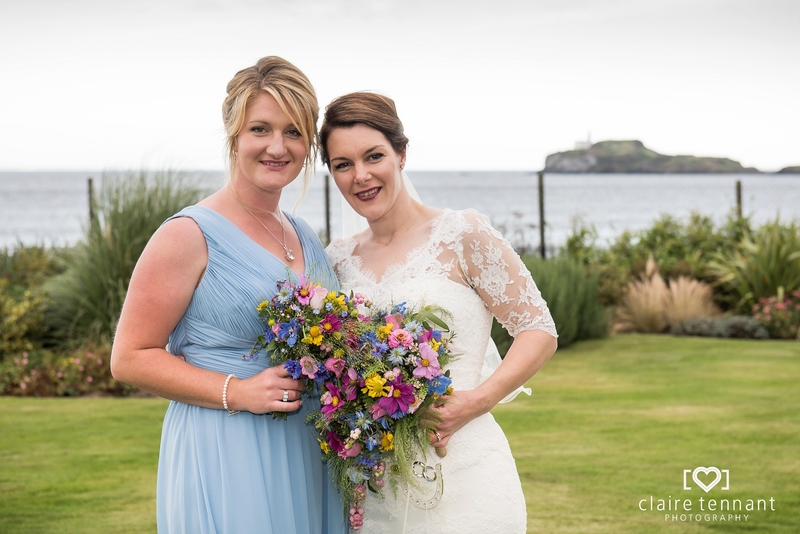 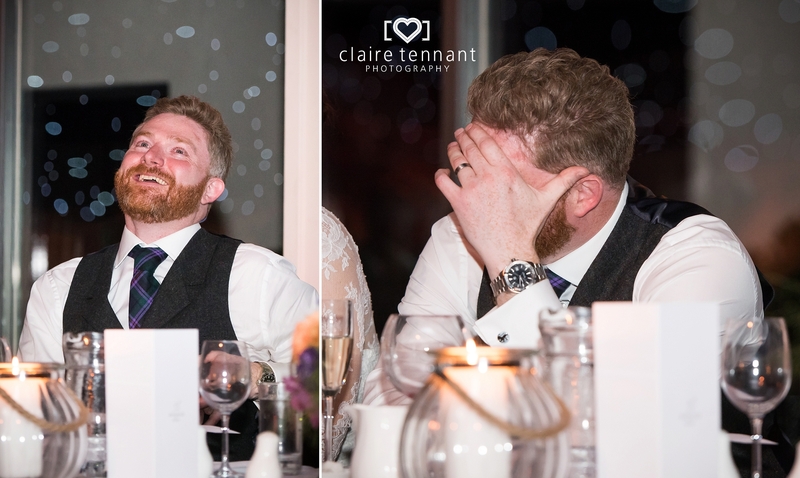 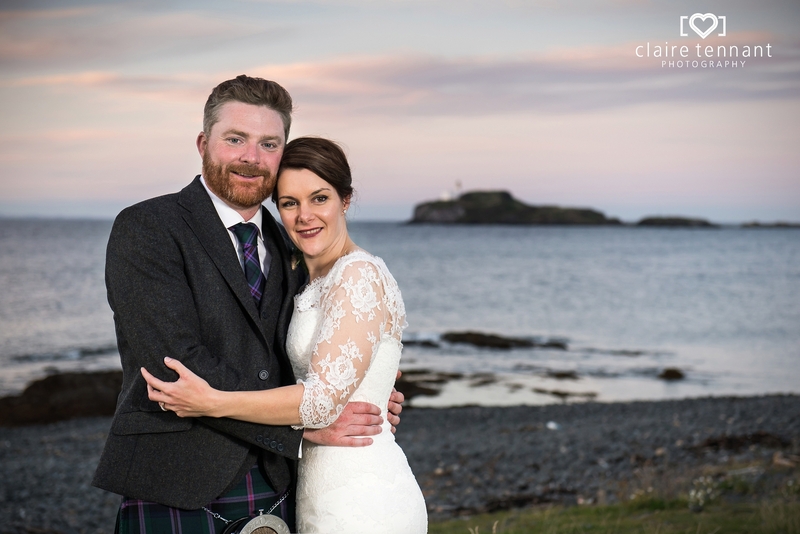 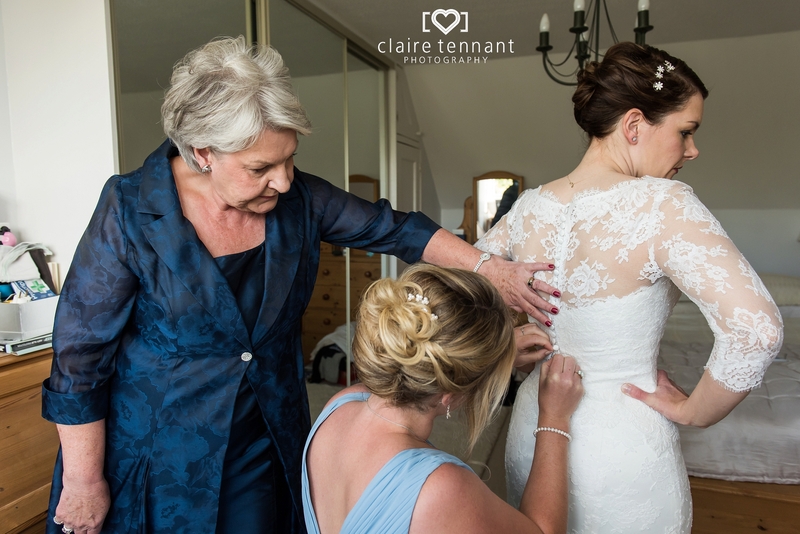 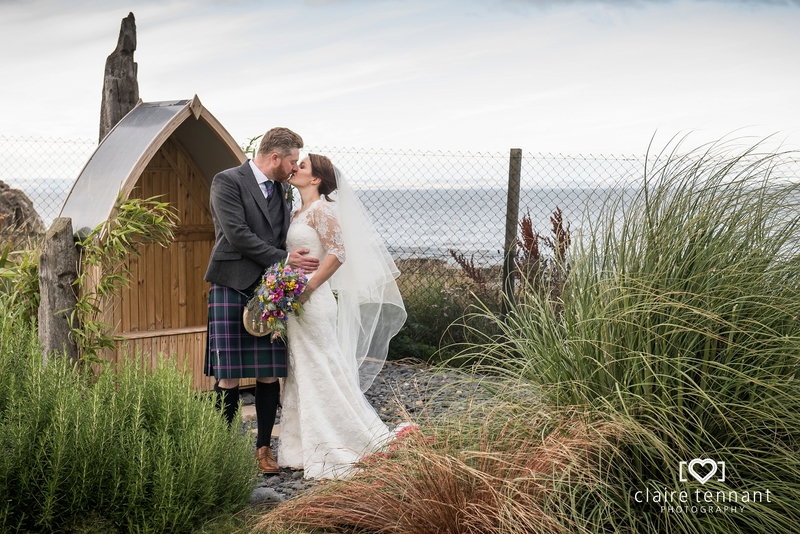 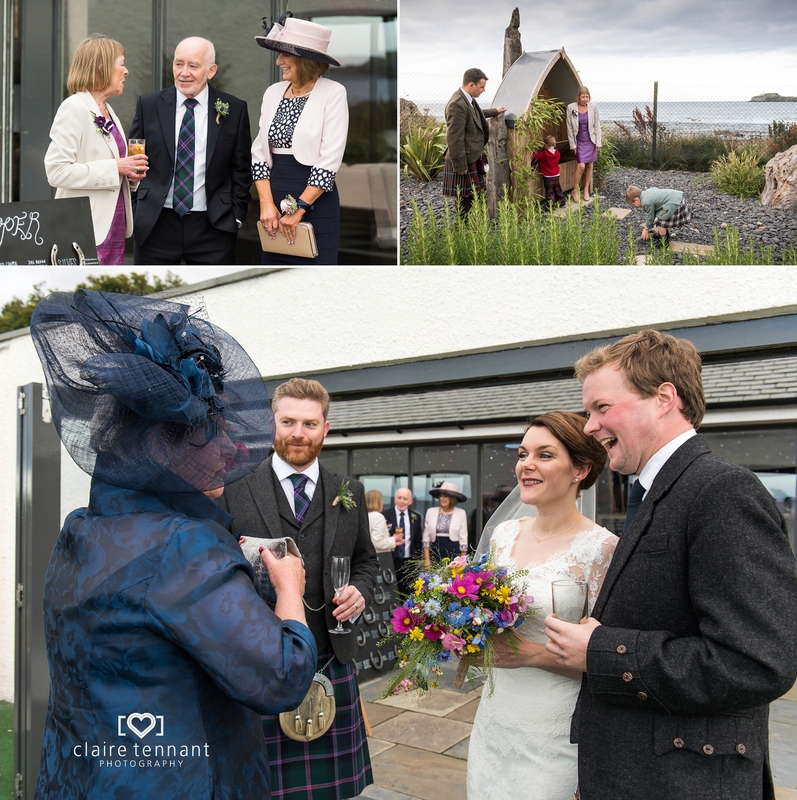 I have been planning to blog about this beautiful Archerfield Waterfront wedding for a long while…I won’t say how long as I can’t quite believe it myself!! 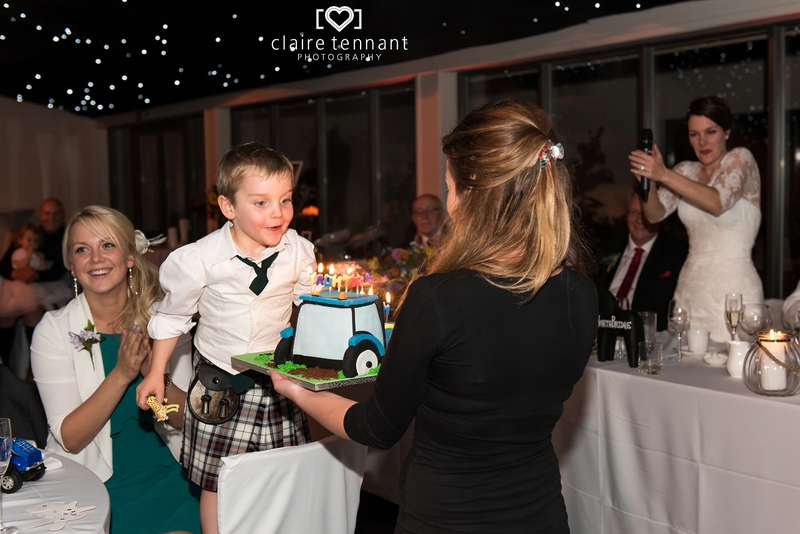 Time really has flown! 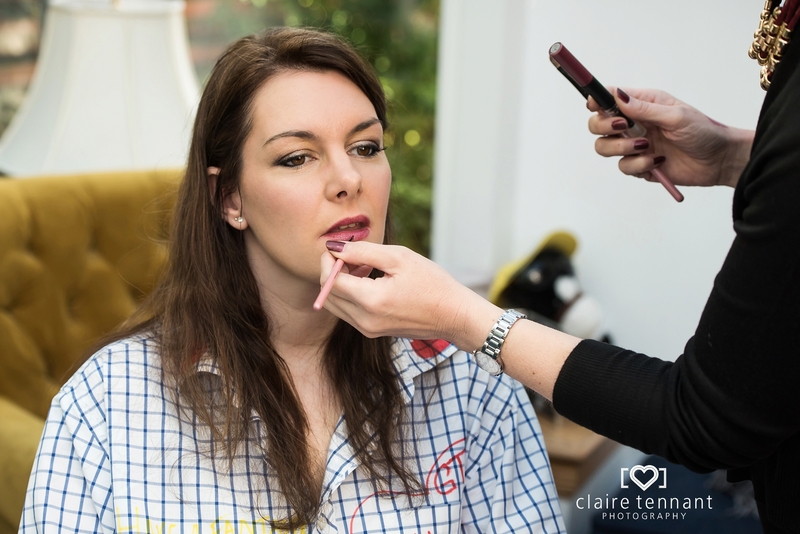 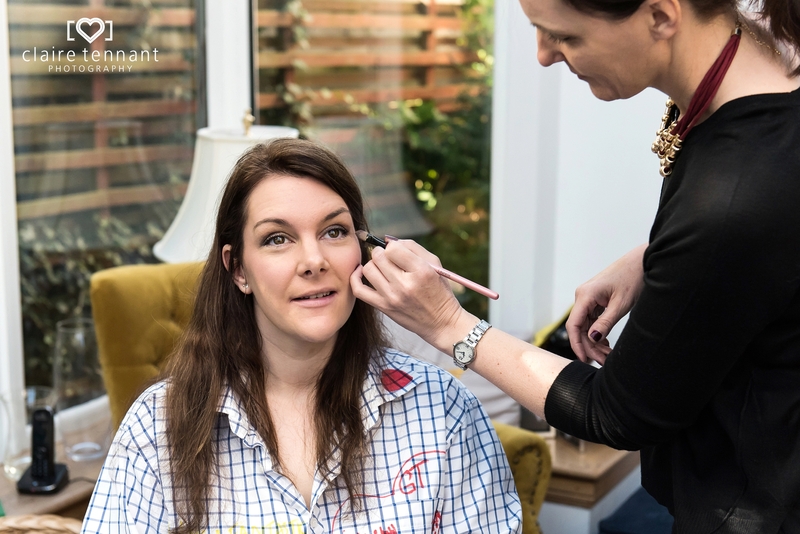 Life got busier so I put my blog on hold to concentrate on more important things like editing images, designing albums and adjust to being a Mum with a full time business. 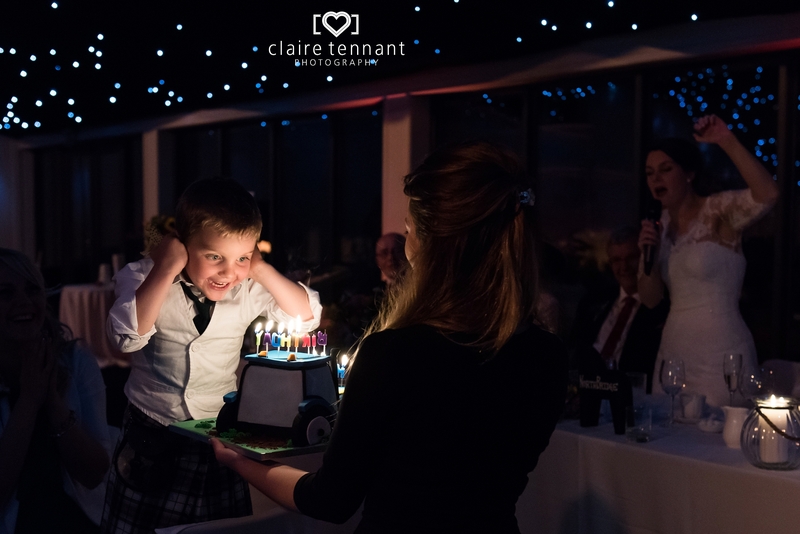 Now I have found a little bit of time to blog again so I’m finally sharing it with you. 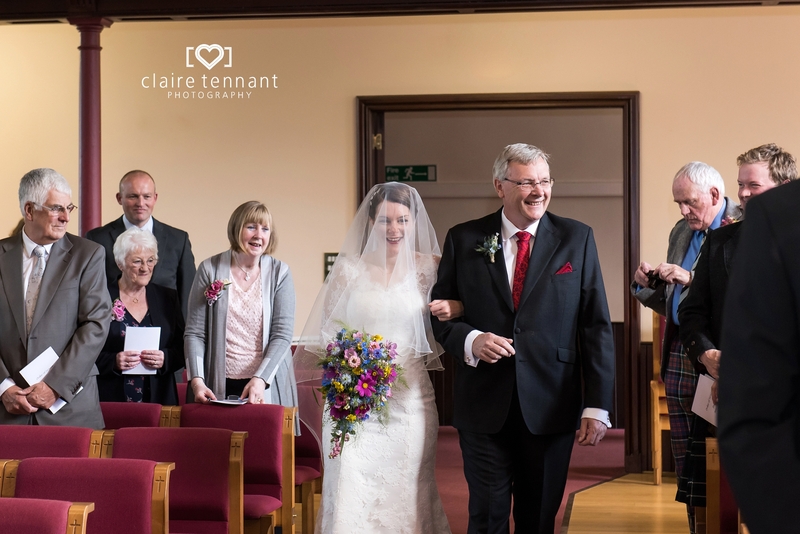 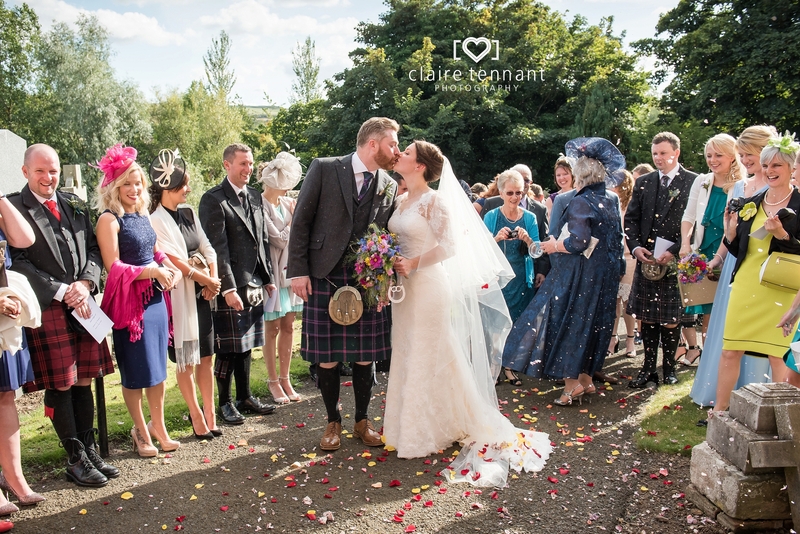 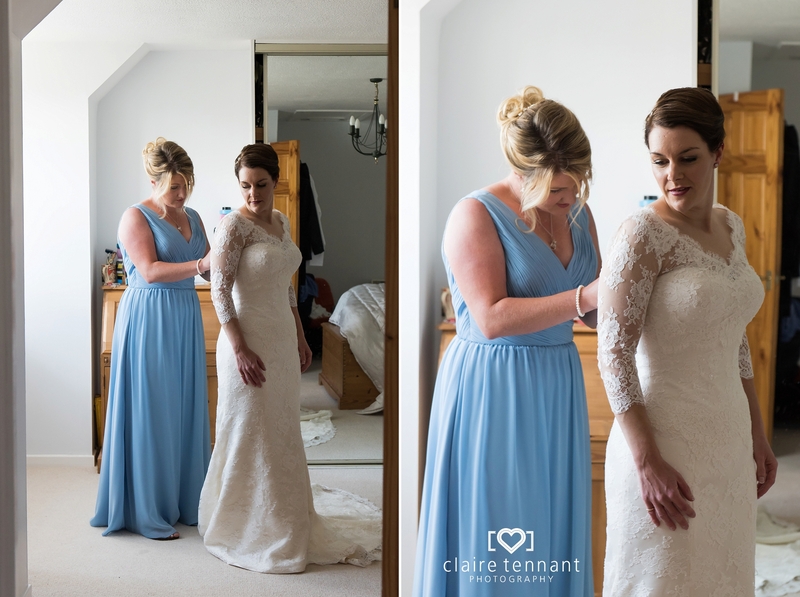 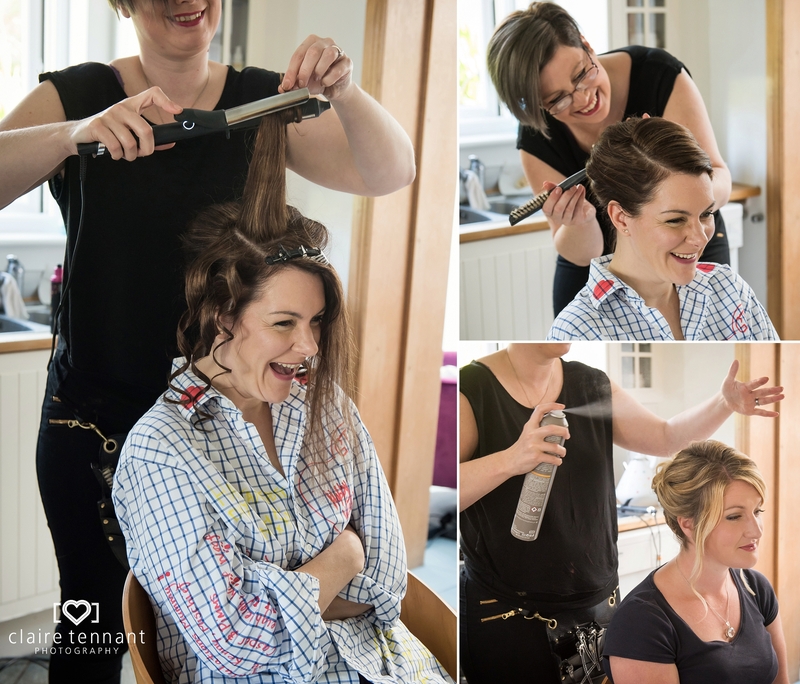 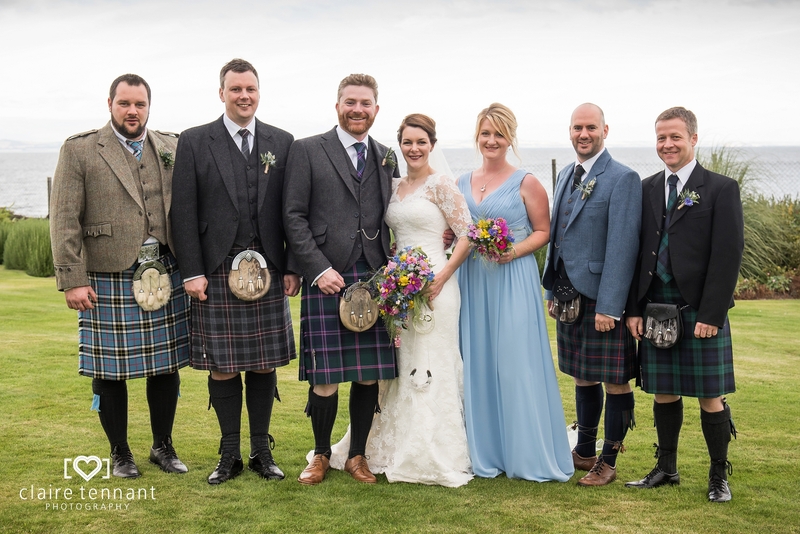 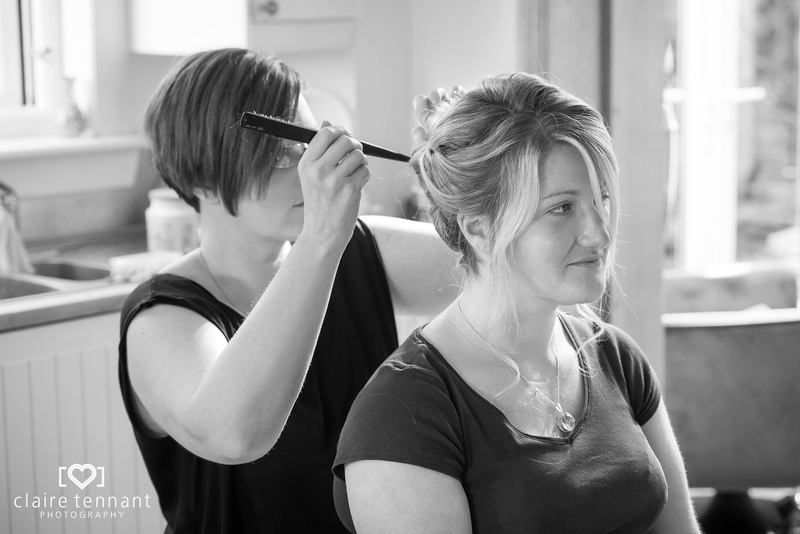 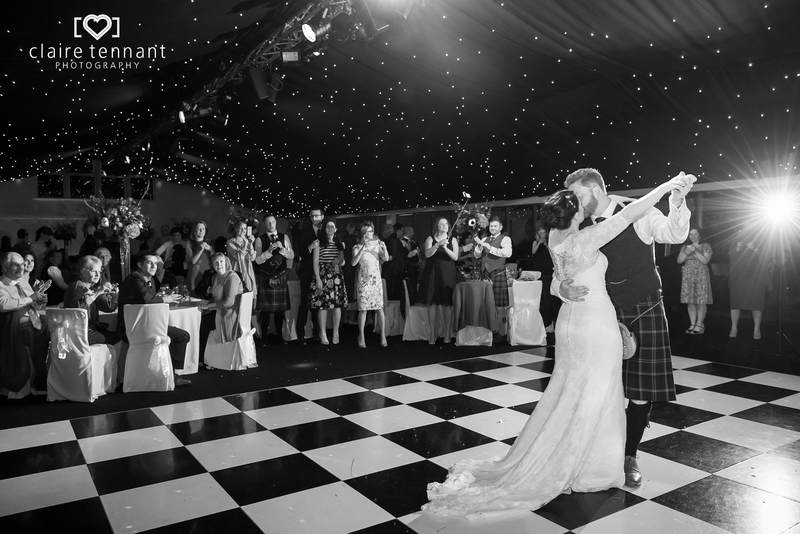 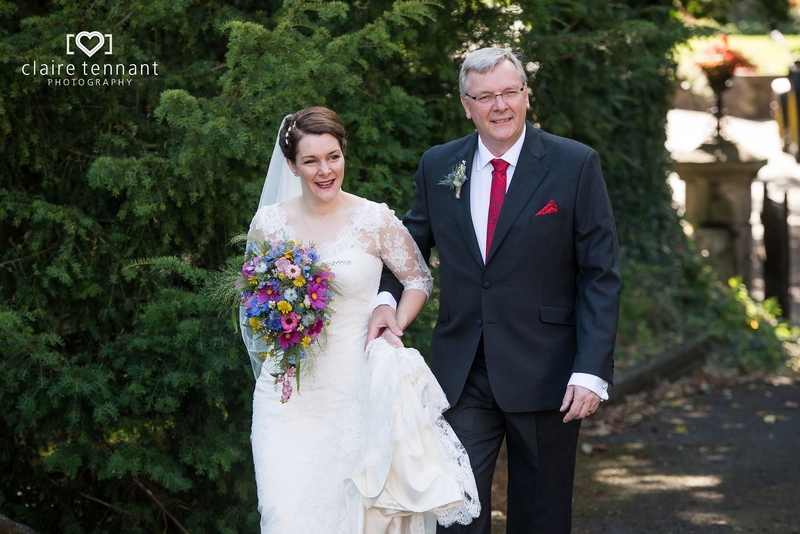 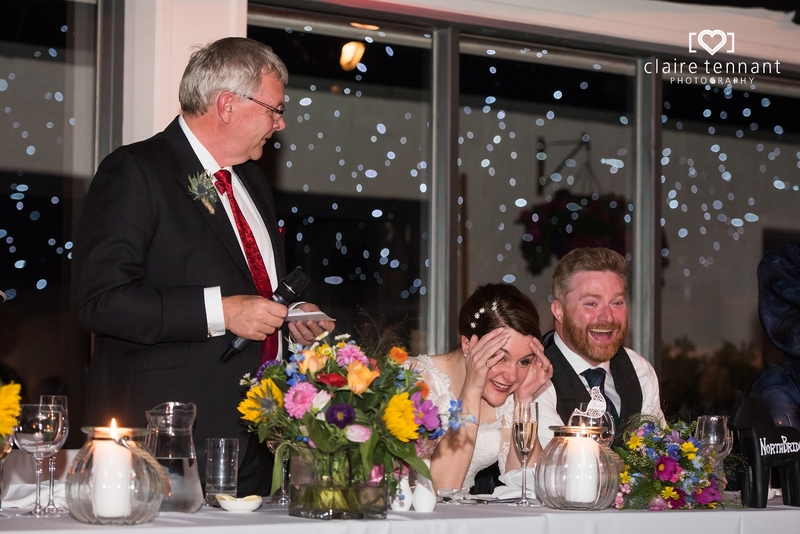 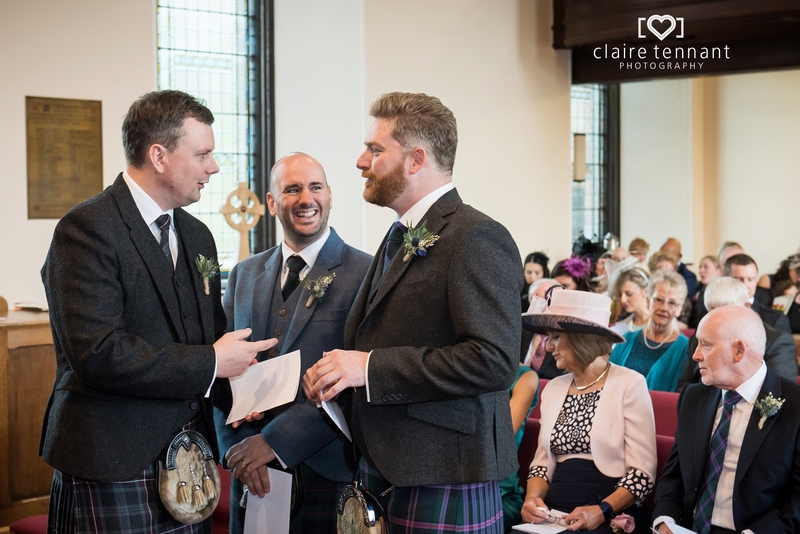 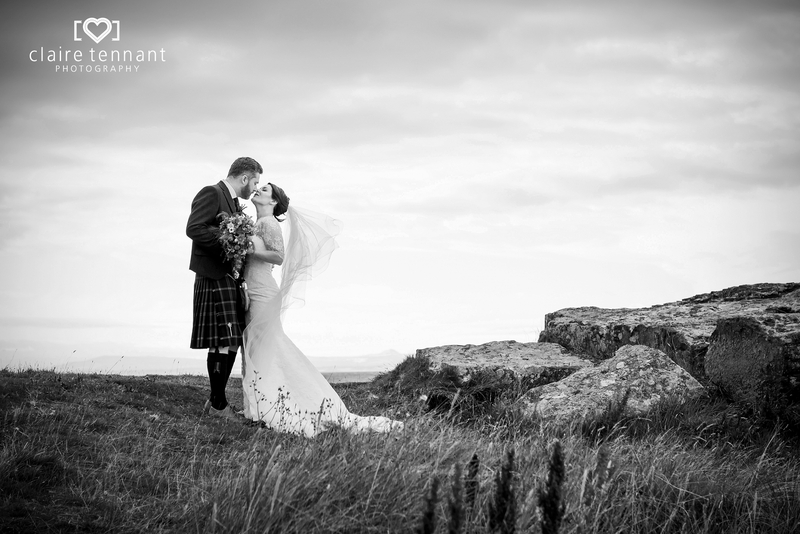 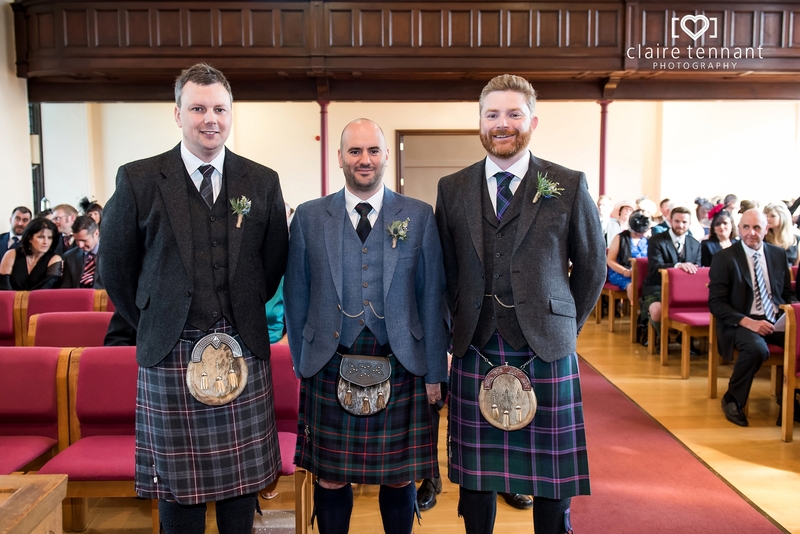 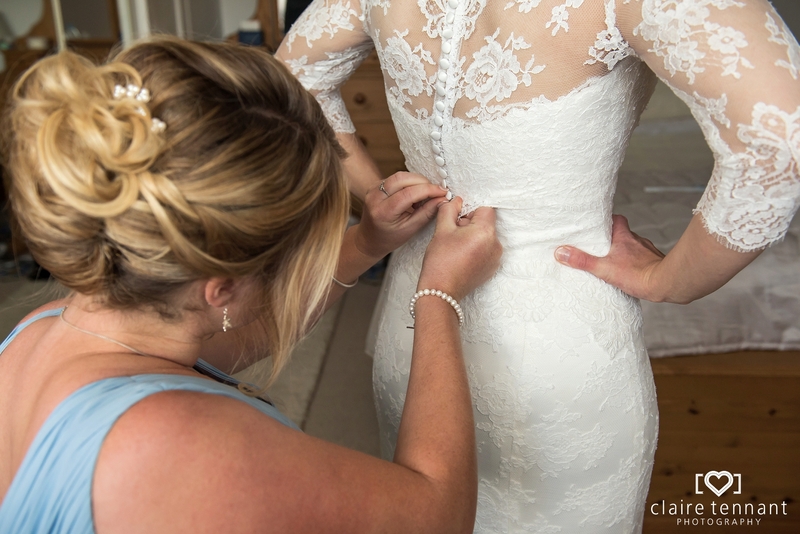 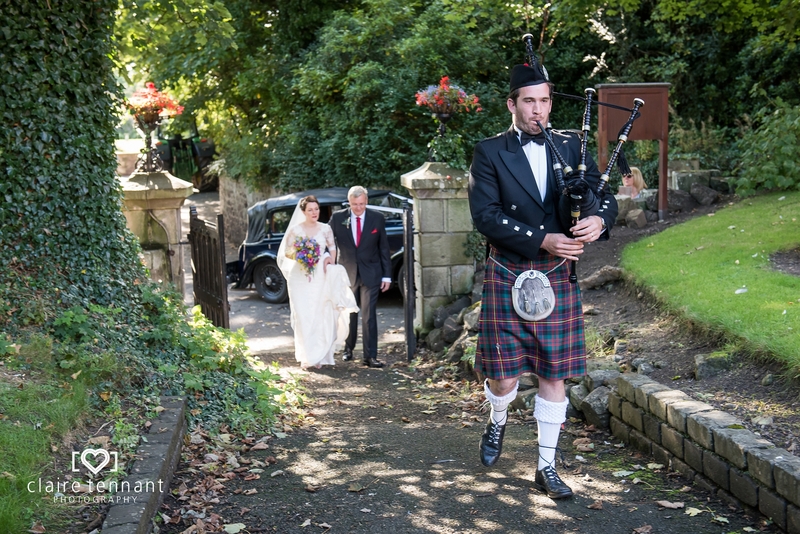 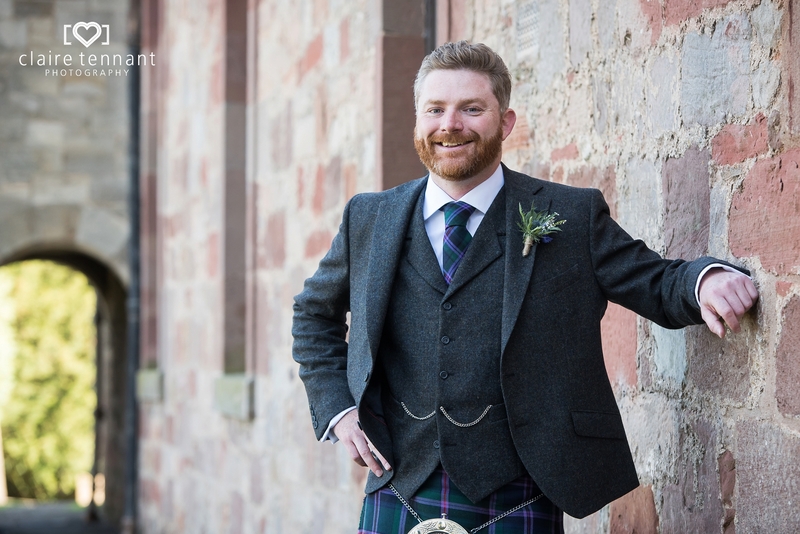 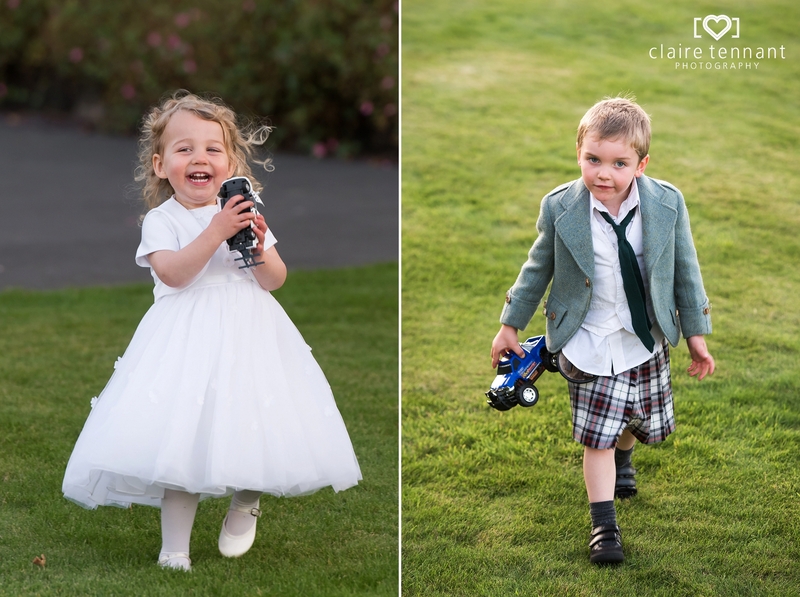 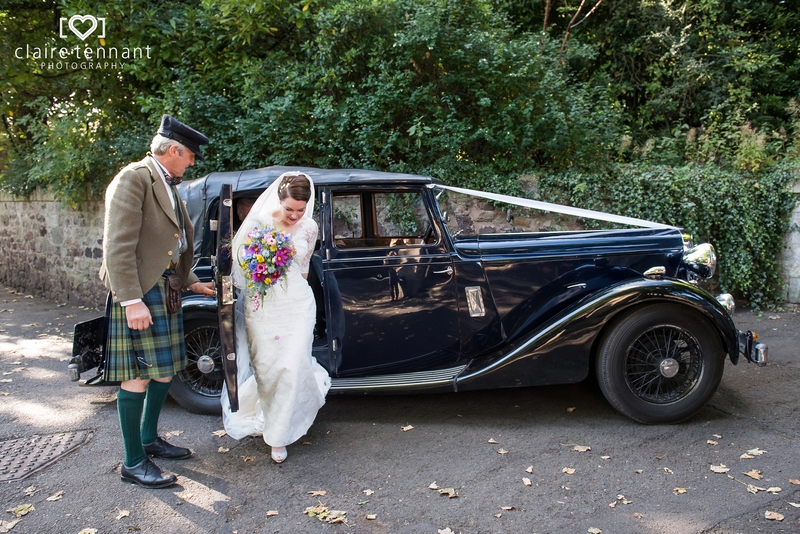 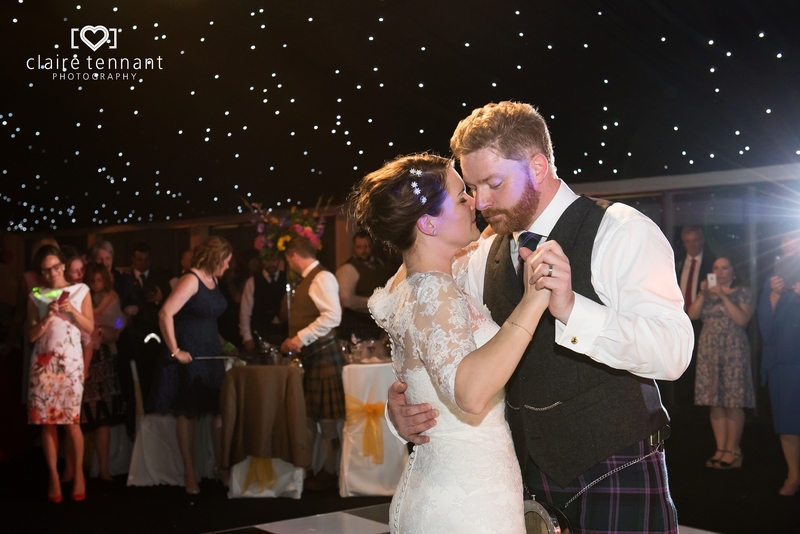 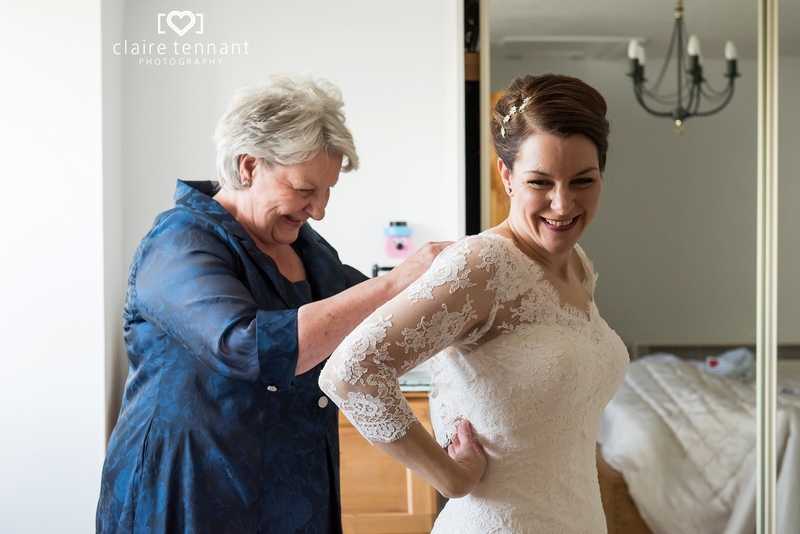 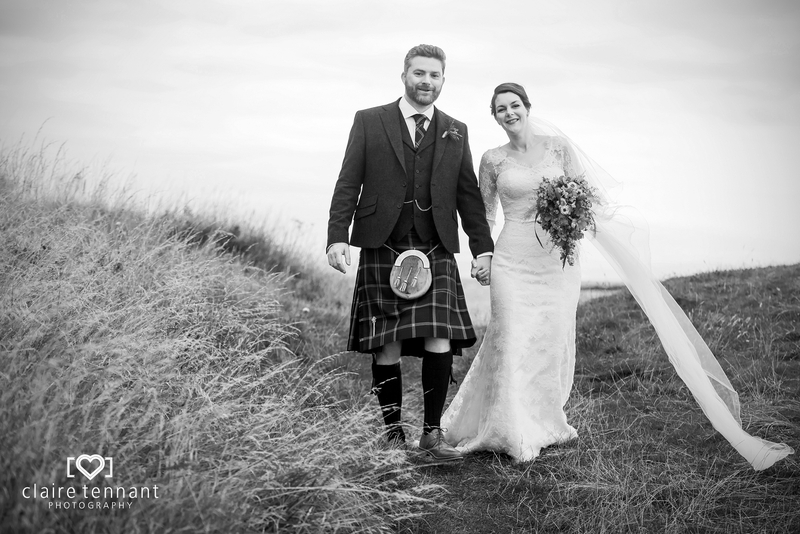 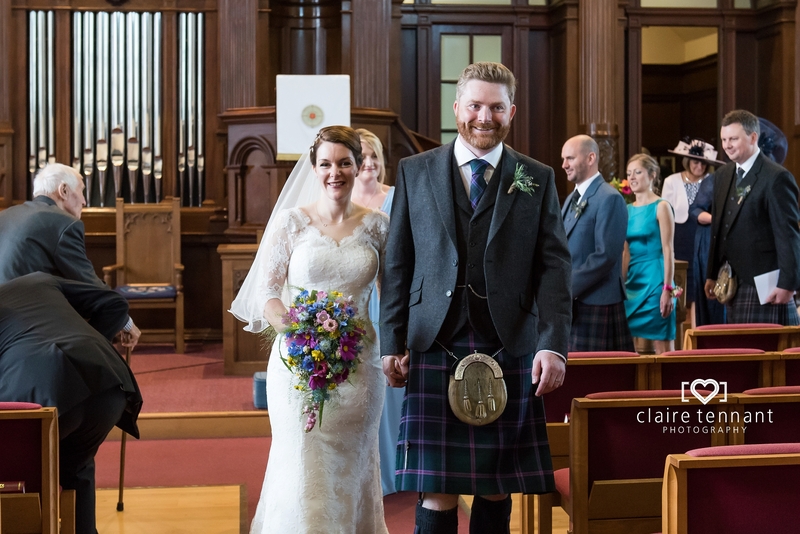 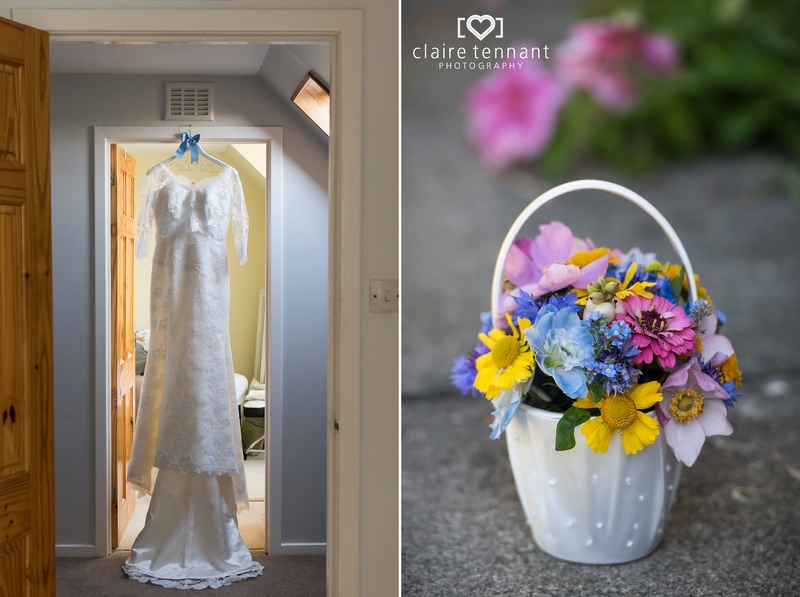 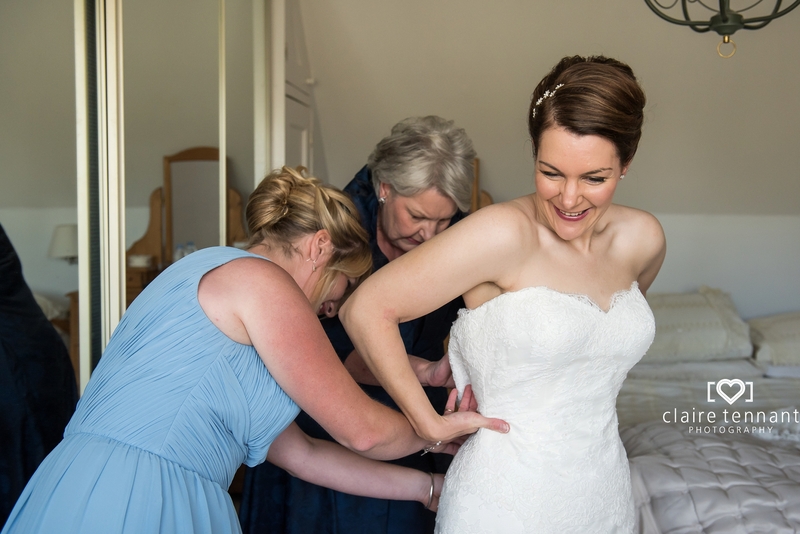 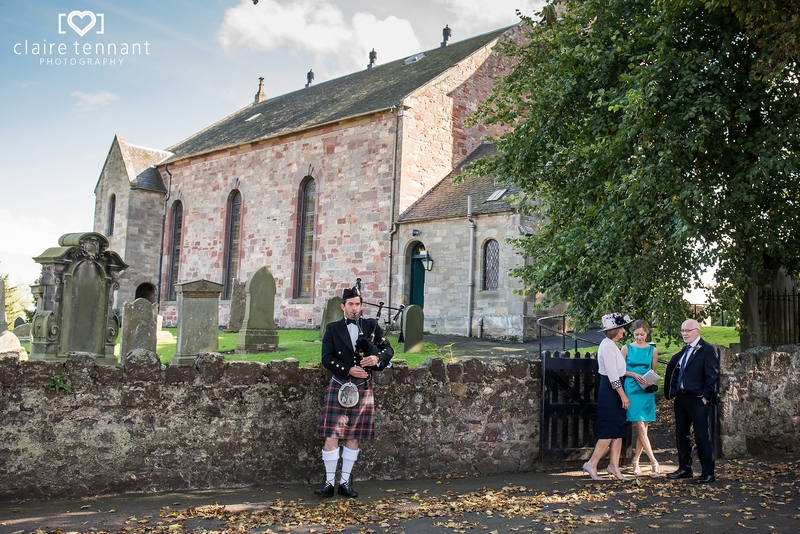 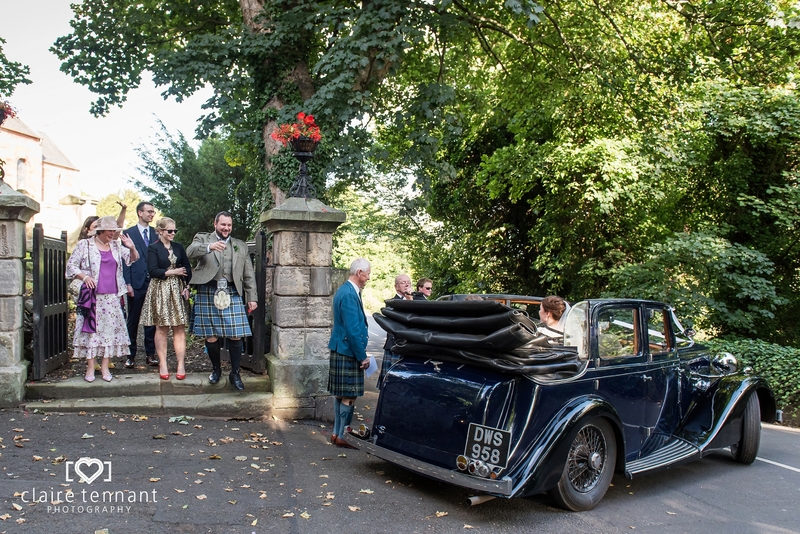 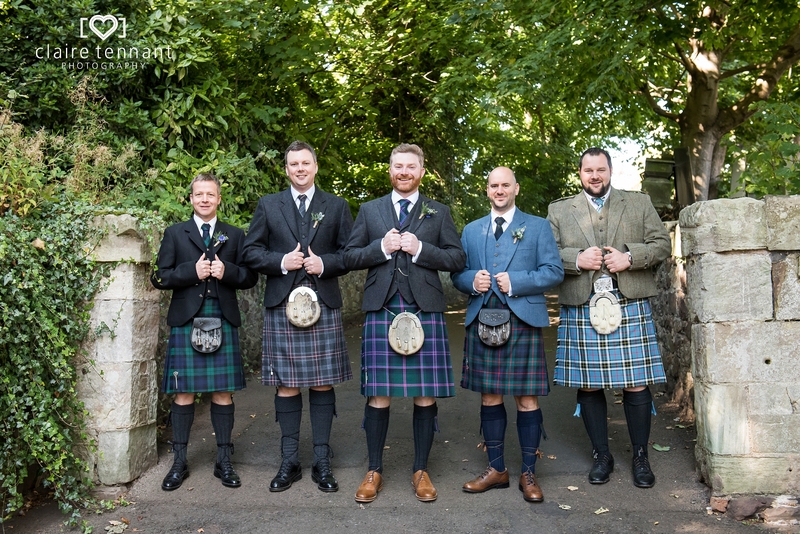 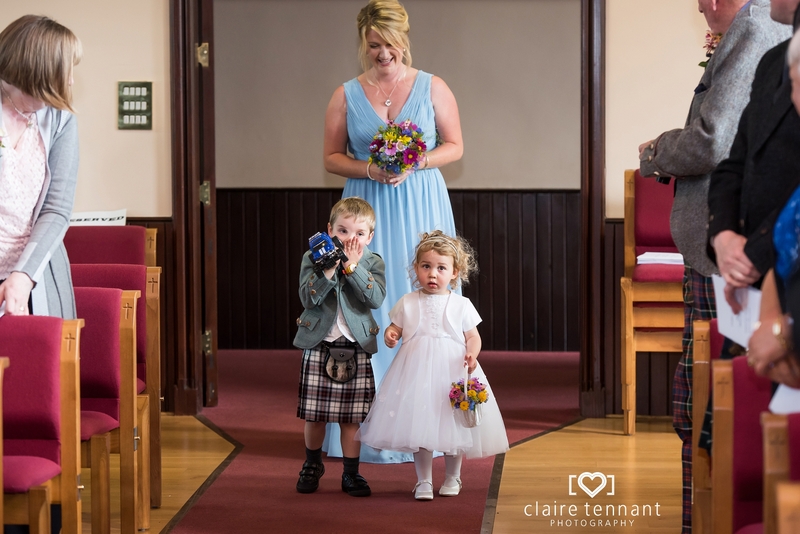 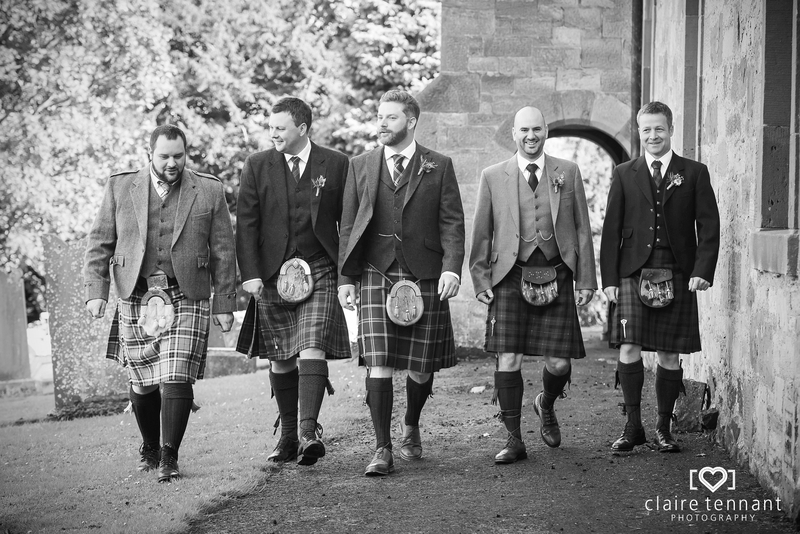 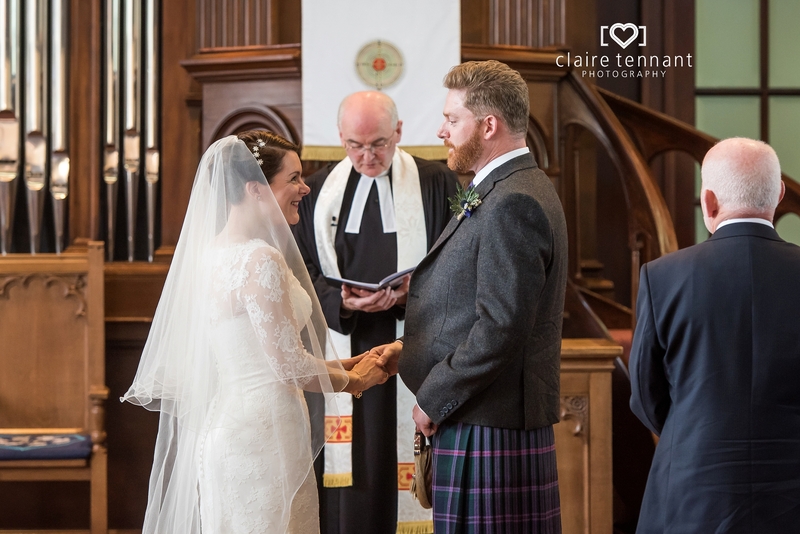 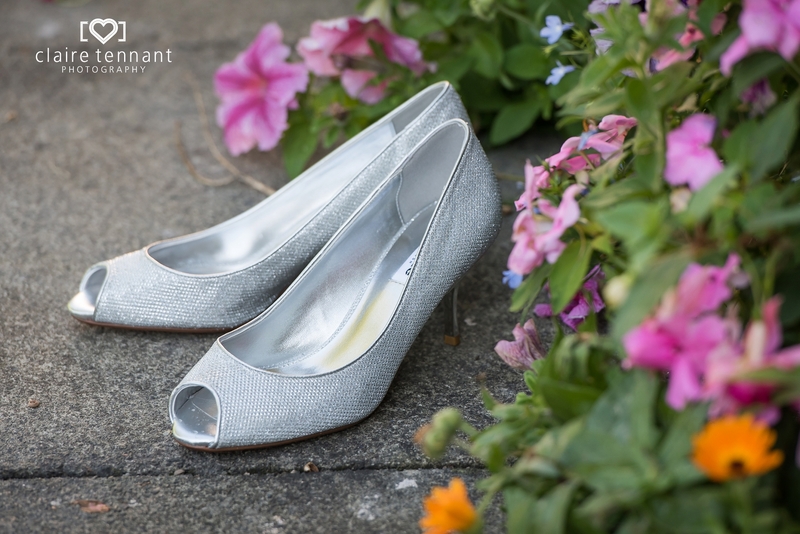 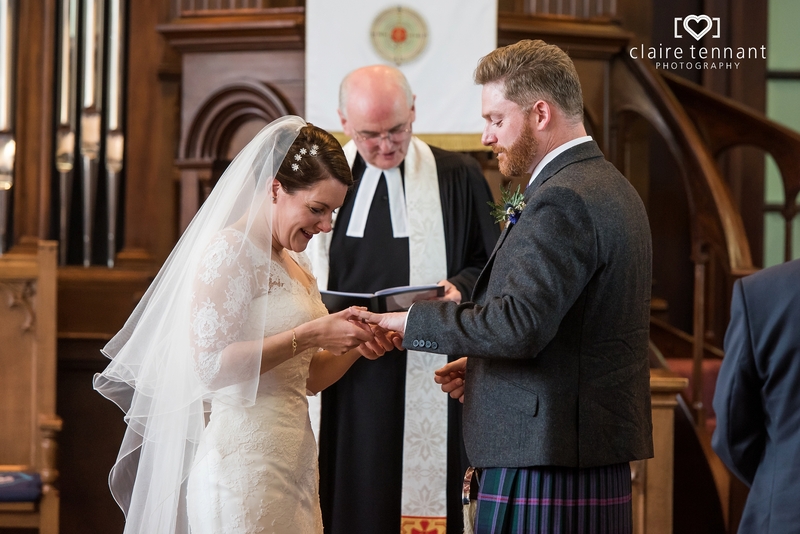 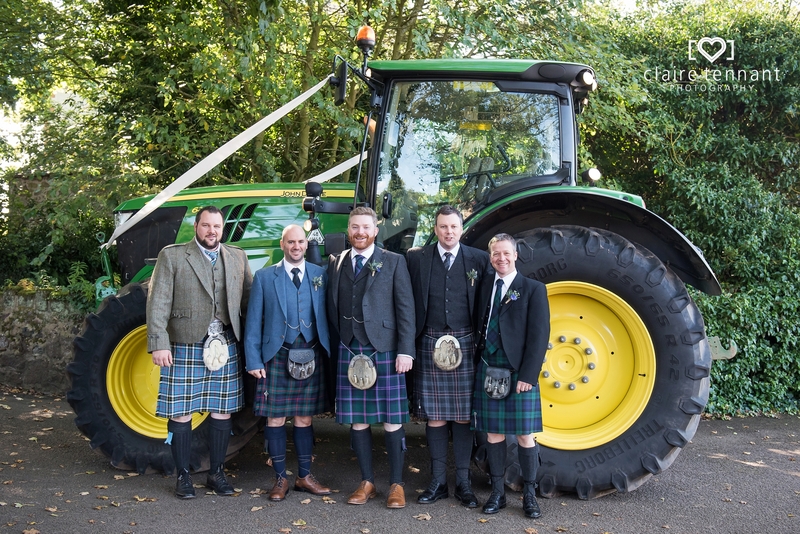 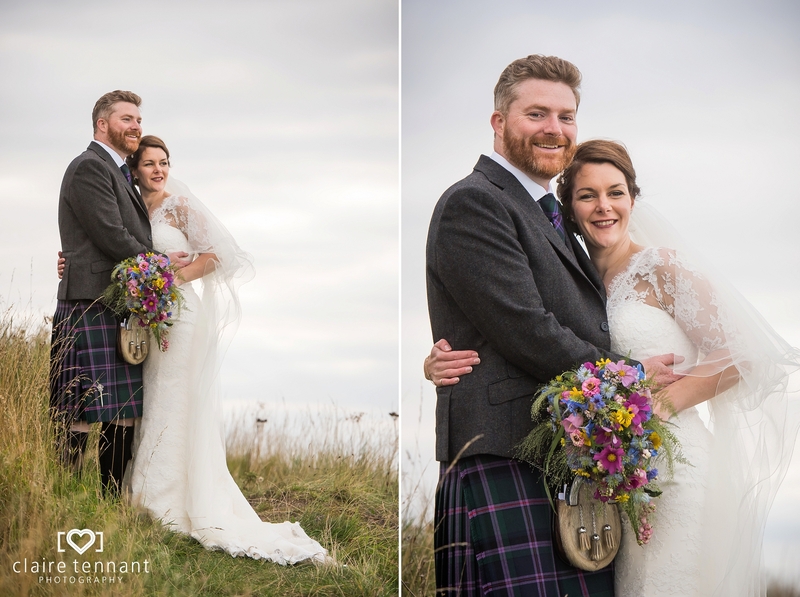 Gemma and Steven chose to tie the knot at Preston Kirk in East Linton, East Lothian. 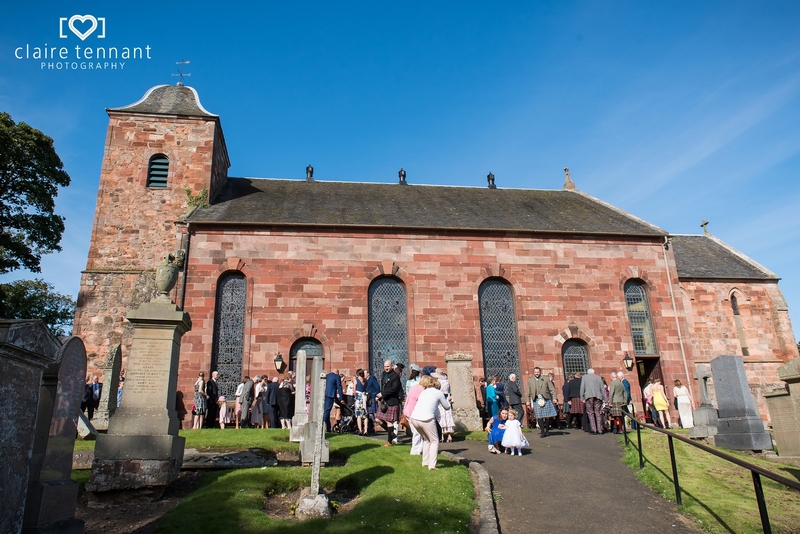 It’s such a beautiful and photogenic little church set at the top of a little hill. 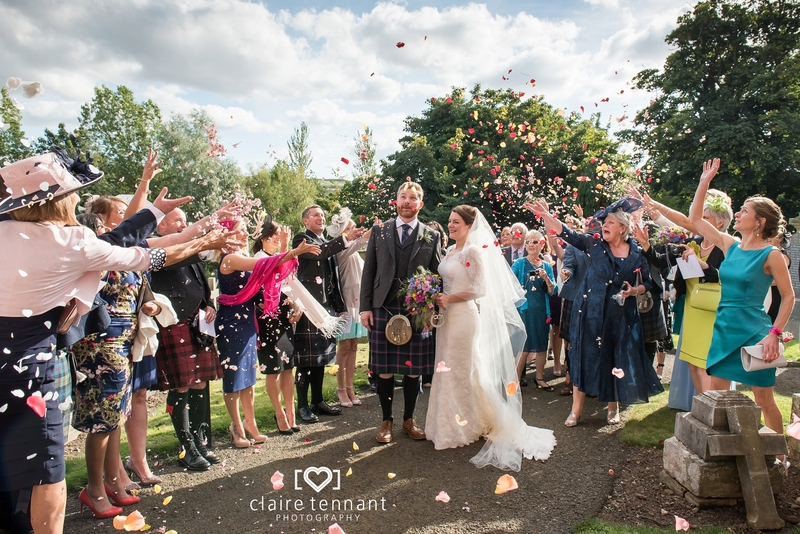 After their lovely ceremony everyone made their way outside for a confetti photo which is always lots of fun and makes for a great photo opportunity. 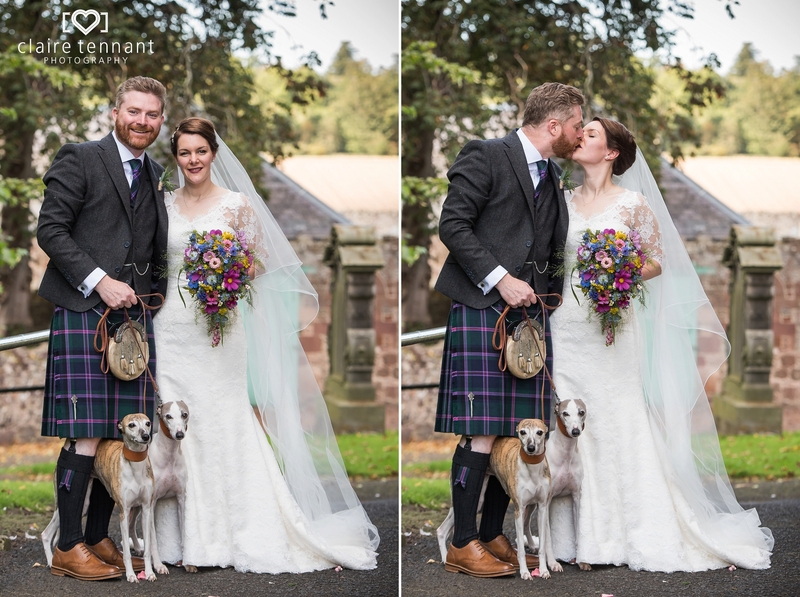 Their two much loved dogs came to join them afterwards for a few photos. 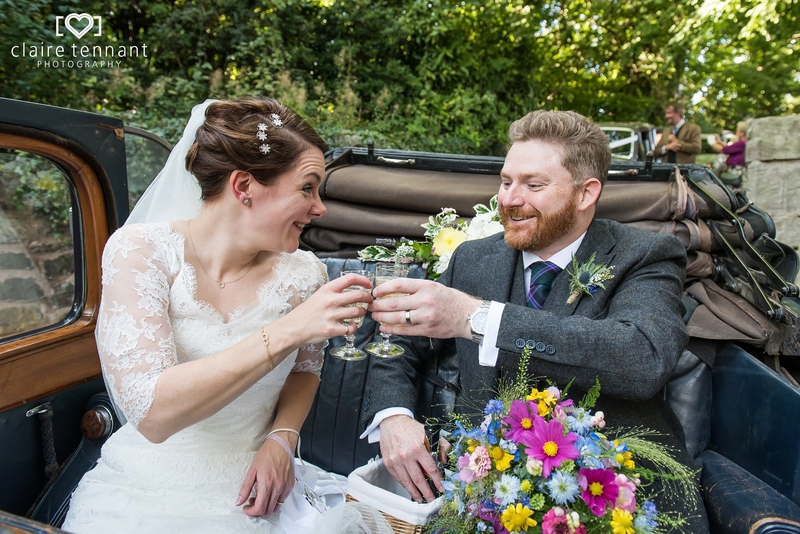 After some celebratory hugs and words of congratulations Gemma and Steven made their way to Archerfield Waterfront in their old classic car. 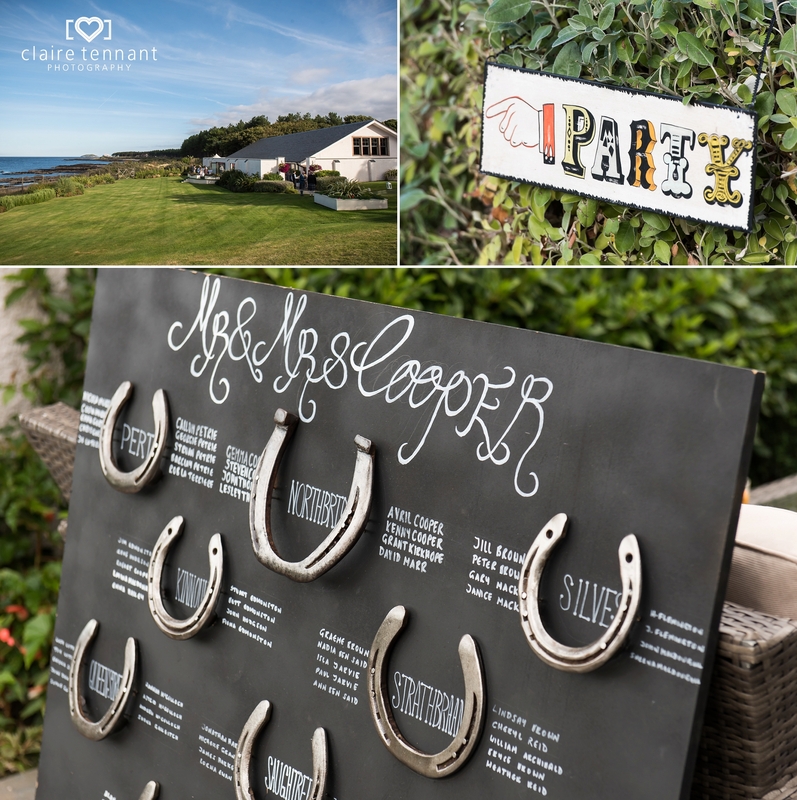 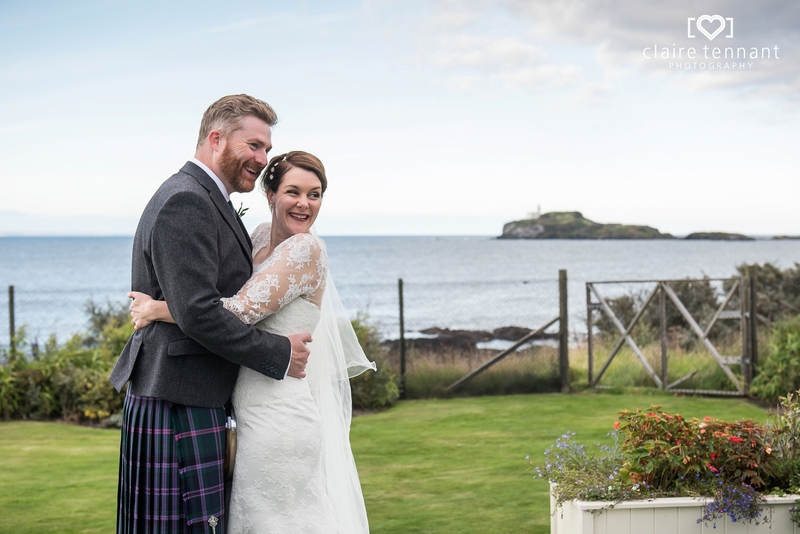 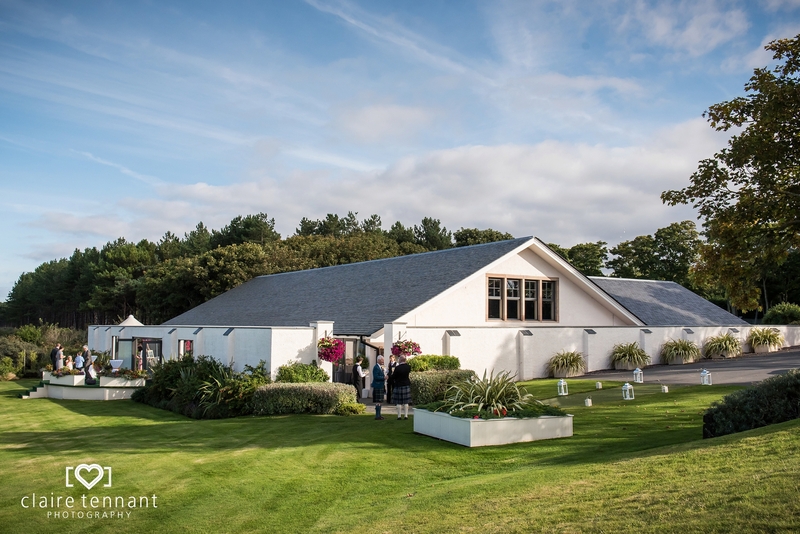 The Archerfield Waterfront wedding venue is stunning, set right next to the sea with beautiful views across the water. 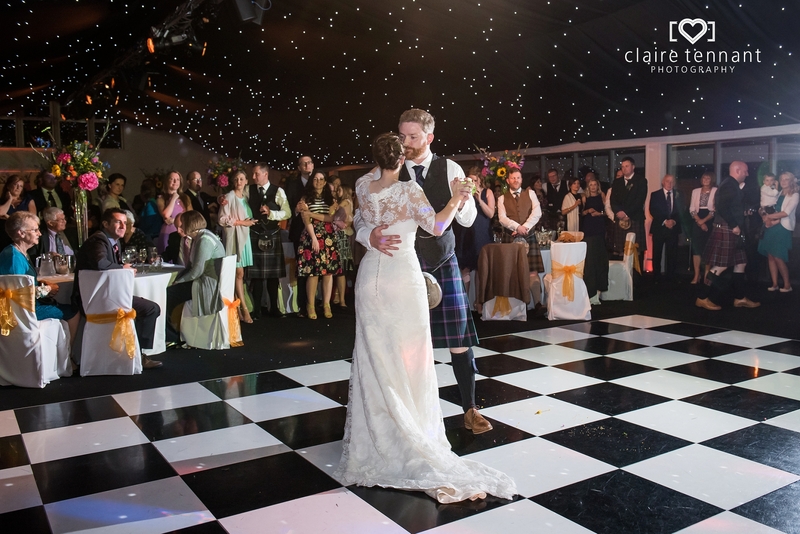 The inside of the venue is equally gorgeous with the sparkly ceiling lights and amazing views. 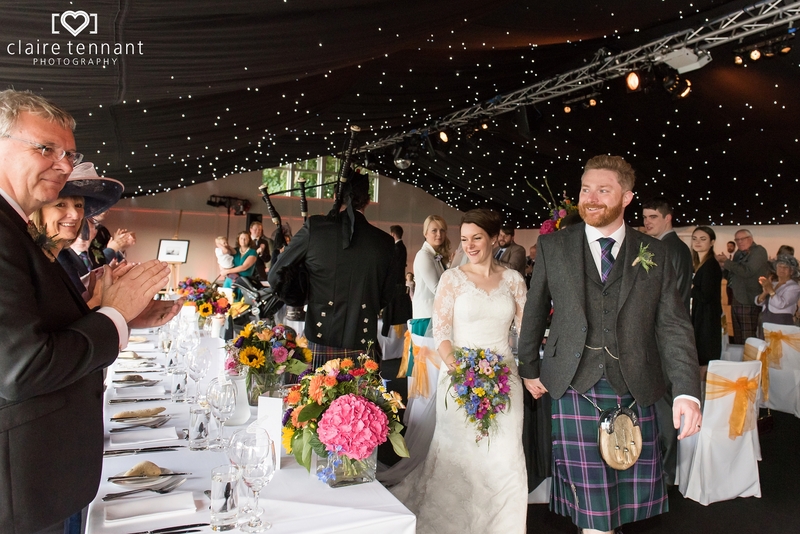 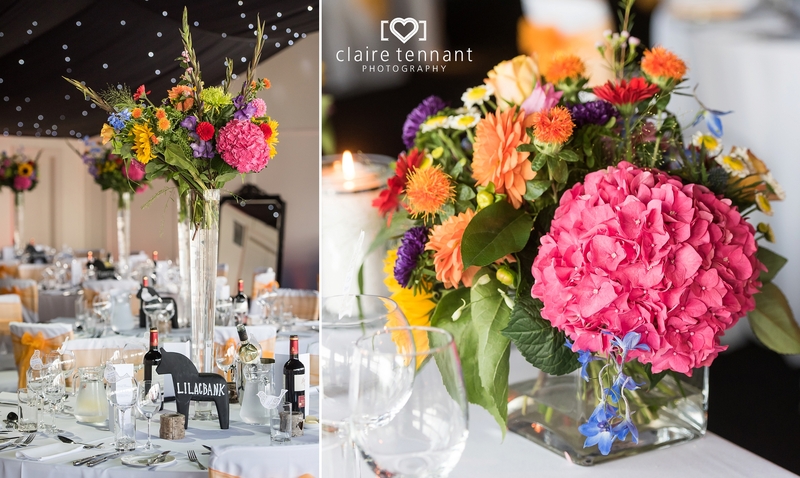 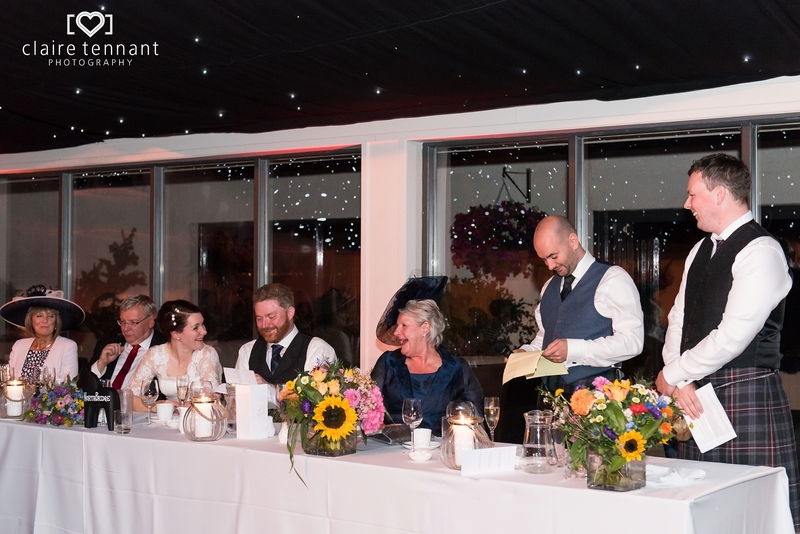 This couple had chosen impressive floral centrepieces which really had the wow factor. 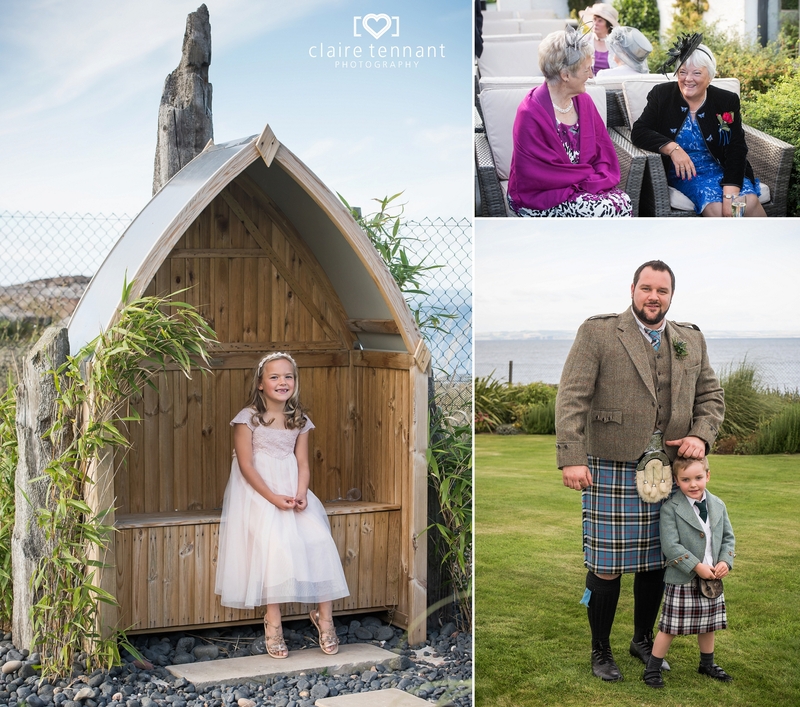 I do remember the weather being a little cold and windy that day but we powered through and managed all the family group photos outside. 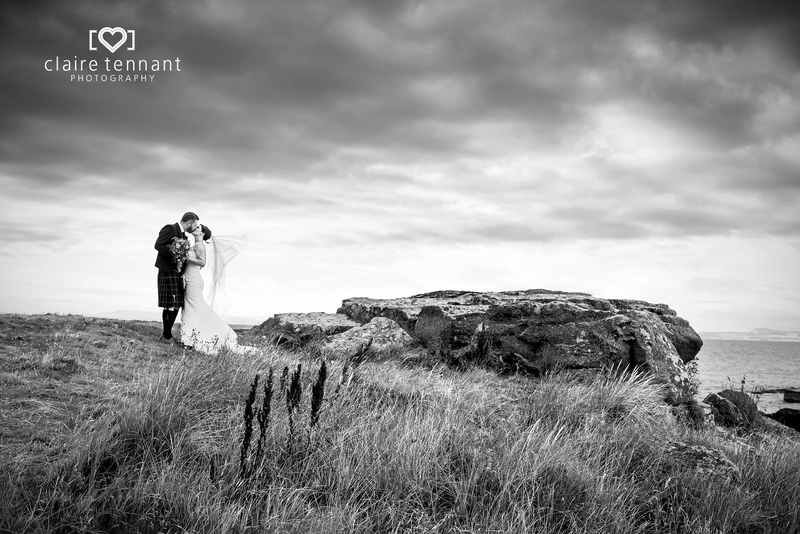 The moody sky made for some dramatic couple photos by the shore. 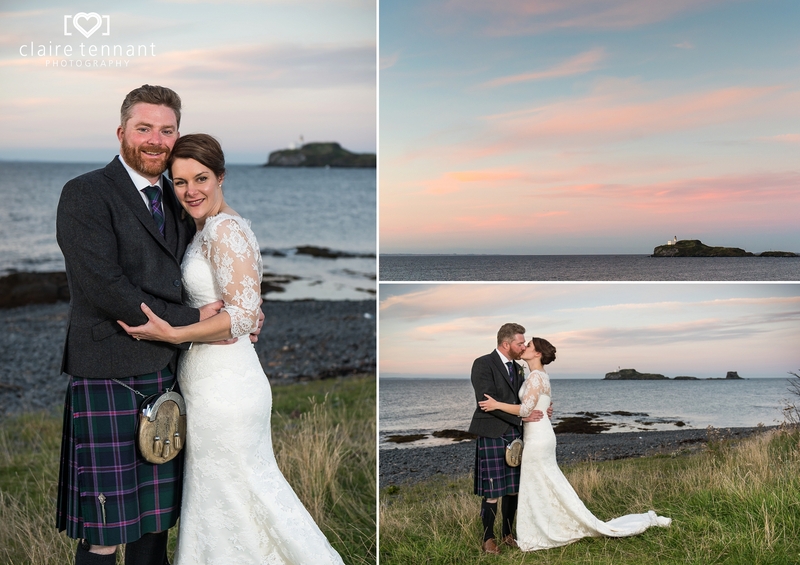 Later on towards the end of dinner we snuck outside for some sunset photos, it was so worthwhile to catch the beautiful pink sky. 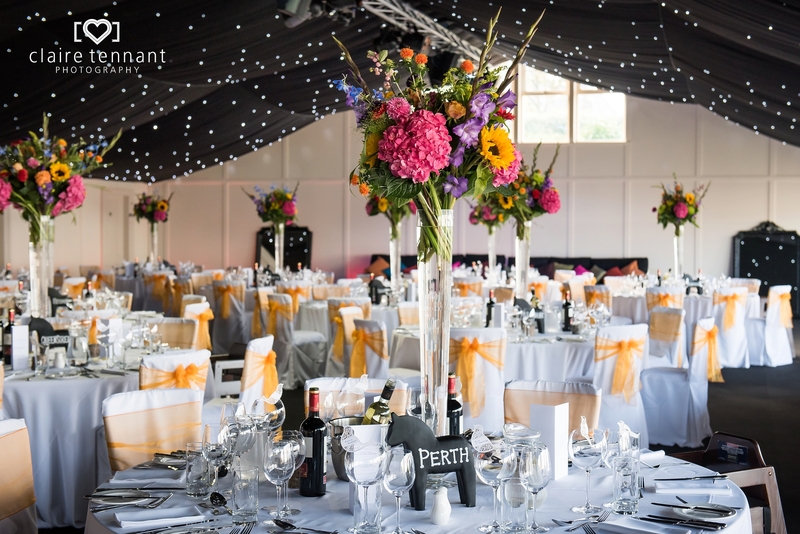 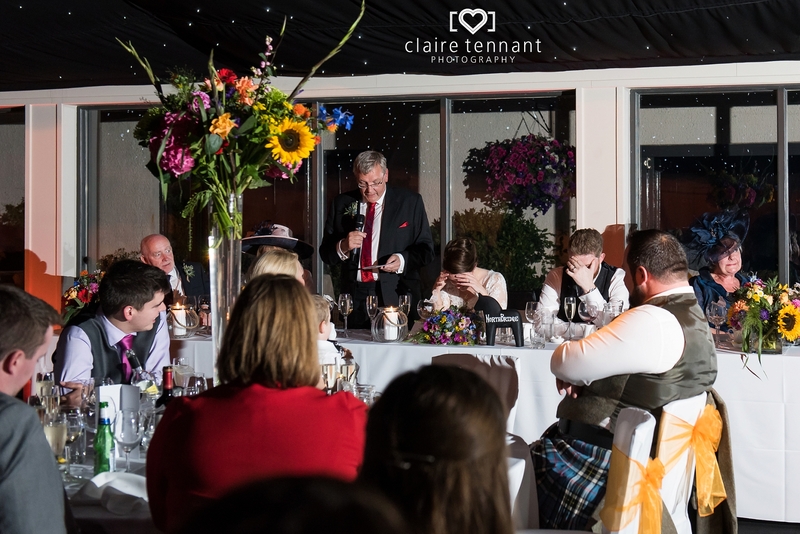 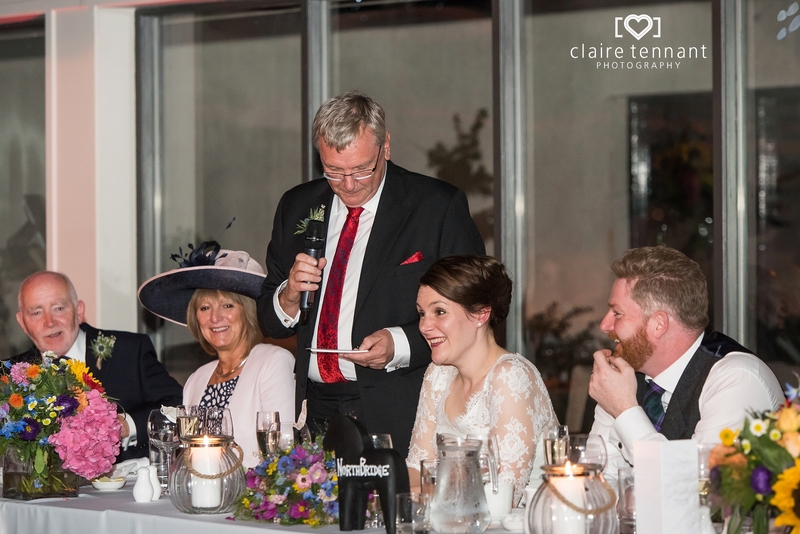 You can see another Archerfield wedding here.